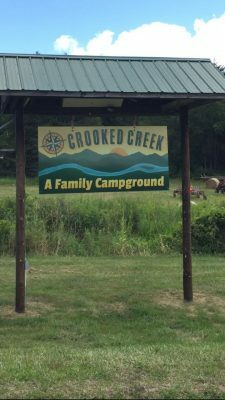 Crooked Creek Campground and its lush landscape sets right on beautiful Pine Creek. Bring your camper, pitch a tent, or rent one of our comfortable cabins. Close to area attractions such as the Pennsylvania Grand Canyon, Pine Creek Rail Trail, and the stargazing at Cherry Springs State Park. Call us today for more information or to book your get-a-way! 1/4 mile west of Gaines, PA on scenic Route 6.